Examine Lytton Strachey’s struggle to create a new homosexual identity and voice through his life and work! This study of Lytton Strachey, one of the neglected voices of early twentieth-century England, uses his life and work to re-evaluate early British modernism and the relationship between Strachey’s sexual rebellion and literature. 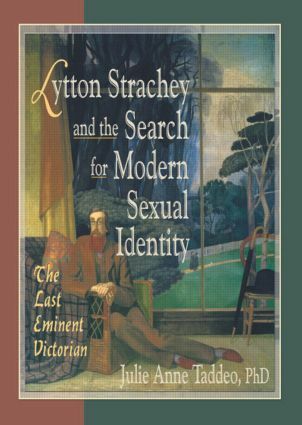 A perfect ancillary textbook for courses in history, literature, and women’s studies, Lytton Strachey and the Search for Modern Sexual Identity: The Last Eminent Victorian contributes to the expanding field of queer studies from an historian’s perspective. It looks at homosexuality through the eyes of Lytton Strachey as opposed to the too-often analyzed Oscar Wilde and E.M. Forster. Questioning the idea that homosexuality is a “transgressive rebellion,” as Strachey as well as scholars on Bloomsbury have insisted, this volume focuses on the ongoing conflict between Strachey’s Victorian notions of class, gender, and race, and his desire to be modern. This thoughtfully indexed, well-referenced volume looks at Strachey’s life, in the words of author Julie Anne Taddeo, “to illustrate some of the issues concerning his generation of Cambridge and Bloomsbury colleagues and how they battled the Victorian ideology, often without success.” It is an essential read for everyone interested in this fascinating chapter in literary (and queer) history.